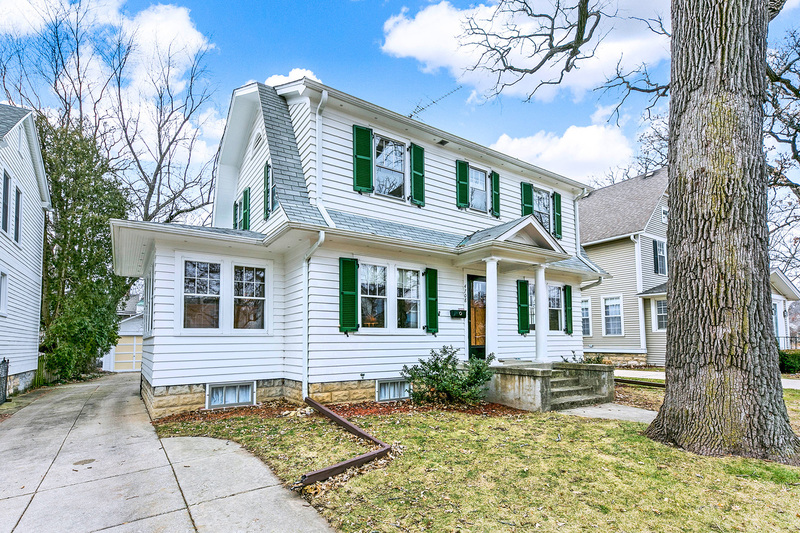 Fabulous Dutch Colonial in premier location. Extremely well maintained home. Charming brick street in highly sought after Pierce Downer school district. Walk to all 3 schools, train, town, and Prince pond from this home. Addition was done in 2006; new kitchen, family room, 2 baths, and finished basement were added. Home is ready for master bedroom/bathroom addition. 1st floor has a den/sun room with built in bookcases and glass french doors. Family room is open to kitchen and boasts beautiful bow window and gas fireplace. Entertaining cook's kitchen with 3 ovens and an abundance of counter space and work areas. Lots of beautiful original woodwork and hardwood floors throughout. Hardwood under living room and master bedroom carpet also. Basement under addition is a deep pour with lots of natural light and an outside entrance. Fenced in backyard with lots of privacy. Carport has custom built removable screens with a tool shed and work bench behind garage. Lovely!